The student of University of Michigan and employed as intern of the Bank of America was found dead Thursday evening in the company. Moritz Erhardt is a highly diligent intern, said by bank spokesman John McIvor. McIvor said, "He was popular amongst his peers and was a highly diligent intern at our company with a promising future." Metropolitan Police in London said, Moritz Erhardt, a 21-year-old student, was found unconscious Thursday evening at a property on London's Claredale Street, and was pronounced dead at the scene. Moritz Erhardt had been living in the Claredale House student accommodation flats in Bethnal Green, East London. According to London pro rate for the intern at the bank, normally they usually earn £45,000 a year - around £2,700 a month. The cause of his death has not been announced, although Metropolitan Police in London say his death is being treated as non-suspicious. Meanwhile, Moritz school statement said, "At the moment, we do not yet know the details," then added, "Moritz was a wonderful person and a dedicated student." Thank you for reading this post, and please kindly bookmark and visit this website regularly, like our Facebook page, follow us on Twitter, add us on Google+, and/or subscribe to our daily news feed via RSS or Email. 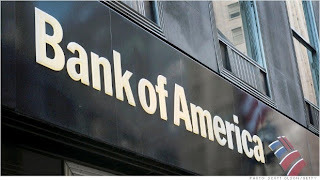 Comments or suggestions about "Intern of Bank of America found dead in London | Moritz Erhardt of University of Michigan" is important to us, you may share it by using the comment box below.